EcoHeat Saxon > Horizontal Aluminium Radiator & Brackets 690x820 (White). 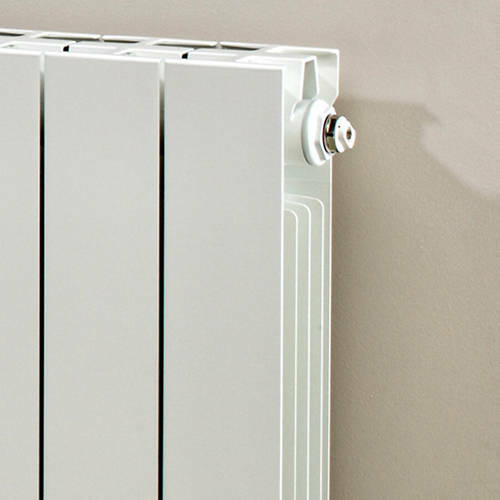 EcoHeat Saxon horizontal aluminium radiator with wall brackets in white (690x820mm). Size: 690H x 820W x 95D mm. 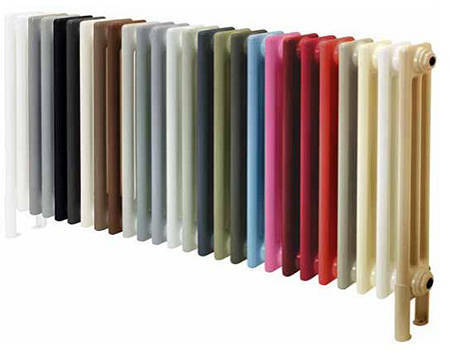 The EcoHeat Saxon collection of high quality, energy efficient aluminium radiators are ideal for new and retrofit installations of Geothermal Heating, Air to Water Heat Pumps and Water to Water Heat Pump plumbing systems. These EcoHeat radiators have been manufactured in Italy by leading Italian designers to the highest of European standards. 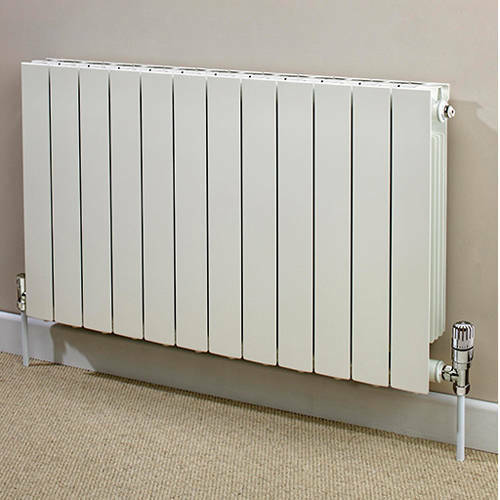 Aluminium radiators look great in any home and offer high thermal efficiency which is combined with low water content. Saving you time and money as you will not need to install underfloor heating pipes to your home. Heat Pumps provide domestic space heating and hot water, it is possible to greatly reduce your CO2 emissions and your home�s running costs. These heating systems use naturally occurring energy from the air, water or earth to provide domestic space heating and hot water. Heat pump technology has been used around the world for decades and is the Eco heating solution for the future.